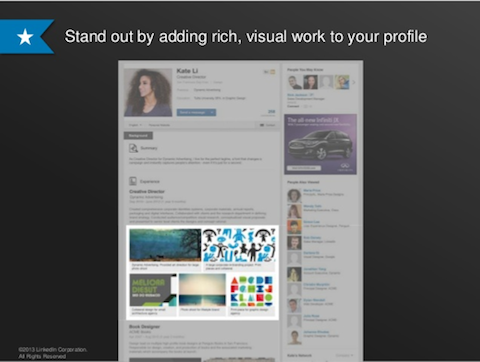 LinkedIn Introduces Visual Profiles: “For the first time, you will now have the ability to showcase your unique professional story using rich, visual content on your LinkedIn profile. This means you can illustrate your greatest achievements in the form of stunning images, compelling videos, innovative presentations and more.” This new feature is rolling out now to LinkedIn members in English-speaking countries. "To begin sharing your achievements and creations on your profile, simply select Edit on your profile, then follow the prompts in your Summary, Experience and Education sections." Do you pay attention to grammar and spelling on Facebook Pages? 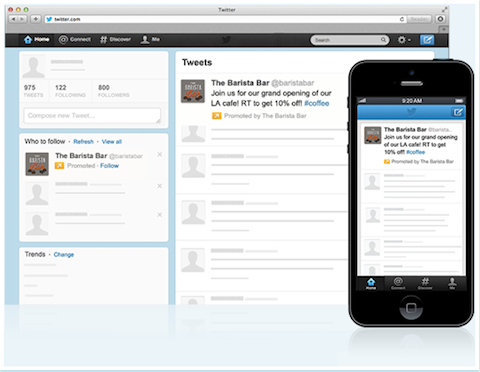 Do you use any “lesser-known” social media platforms? Do you blog for yourself or for others? 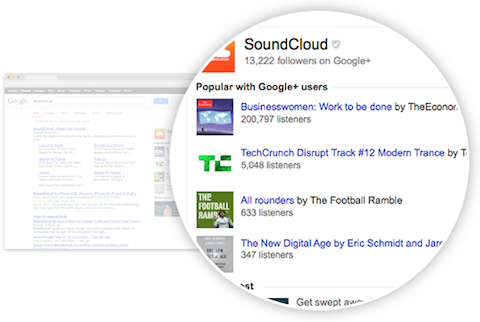 More Google+ activities are being integrated into search results. 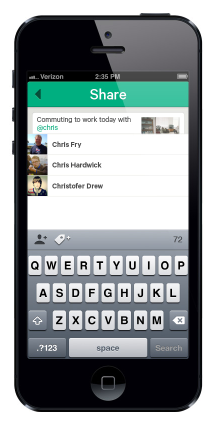 Vine Gets an Update: The new Vine app has a few new features. “You can now shoot with the front-facing camera” and “switch back and forth between the regular and front-facing camera as many times as you want.” And Vine now supports mentions. "To mention a user, type @username and select the name among the suggestions you'll see." Twitter Ads Are Available to All U.S. Users: Twitter is ending their invite-only period and opening signups for their self-serve ad platform to all users in the U.S.
Twitter ads are available to everyone in the U.S.
About 30% of Facebook’s Advertising Revenue Comes From Mobile: Facebook posted its first-quarter 2013 earnings and this shows that mobile advertising on Facebook has increased.